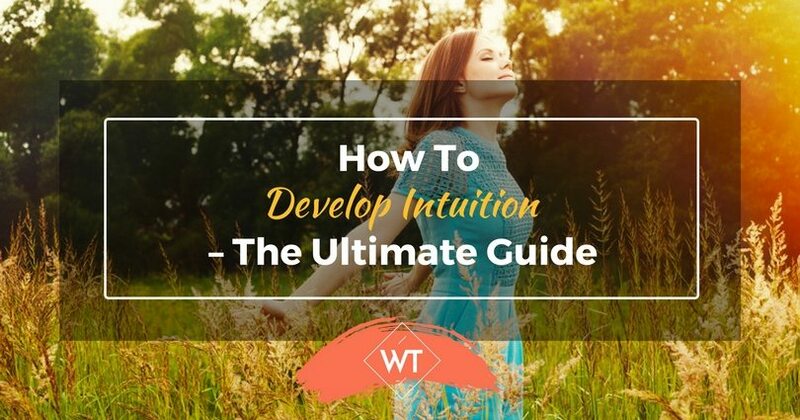 Everyone is aware of intuition; it’s something we commonly hear in reference to “mother’s intuition” or “intuitive, user-friendly software.” To develop intuition, we need to first understand its source and learn ways to become aware of it. For many of us, intuition presents itself in the form of a subtle feeling, or a quiet inner voice that warns of impending danger, suggests the right decision to make, and gives us a feeling about another person’s motives. Intuition is a built-in mechanism of the human mind. Within the rational thinking process, intuition can be drawn upon to provide information that is not purely analytical in nature. To that end, intuition is more closely linked with the creative mind, which originates in the side of the brain that functions creatively. When you’re creating art in any form, or writing, or doing any activity that allows your mind to soften and get into more of a relaxed, dream-like state, you’re opening the channels to the intuitive process. You might get brilliant flashes of wisdom about different things, insights into how to easily solve problems, or ideas about your career, friends, family, and life in general. Intuition comes from within, and as we all have it, it helps us to interact with each other in a very subtle manner. Intuition might be considered one of the senses, like taste, touch, smell, etc. It is also very closely connected with the circuitry of the body, and will give you warning signs in the form of hairs on the back of your neck standing up, or an uneasy feeling in the pit of your stomach. It is a natural sense that many animals have as well. Humans and animals have an instinct for survival, and intuition presents itself very clearly when the need for protection arises. Many mothers have a sixth sense, or sense of intuition, when it comes to the well-being of their children. Their intuition is very strong, and warns them, as a thought, a sense, or a feeling, that they need to act quickly in order to protect their babies. Intuition comes from within, but it is also non-local, just as the mind is non-local (meaning, it is not solely housed within your brain and head, but can gather information from outside of your body), and intuition can pick up and sense signals from those we are connected to who may not be in our close proximity. Is it easy to develop Intuition? So, how do you become aware of Intuition? Intuition is not loud and easy to detect. It is quiet, and very subtle. Therefore, to become aware of intuition, you must work diligently to quiet your mind and pay attention to how you feel and what quieter, more peaceful and intelligent thoughts float through your mind. The easiest way to access your intuition is through your imagination. That way, you’ll give yourself a free pass to experiment and play with your hits, hunches, senses, and vibes. Notice what kind of thoughts pop into your head about certain people. Jot some notes down, and see if you’re right about what you think. For example, if you’re in a job interview, pay attention to the person interviewing you and imagine what that person thinks about you, about the job, and about life in general. After the interview, when you’re back home, jot down imaginative ideas about the person and about what working for that company would be like. The more you let yourself get creative, the more intuitive this process will be, and chances are, your insights will be quite surprisingly accurate. Another way to become aware of your intuition is to ask yourself questions about things, and listen for the answer, or check your body to see how you feel. Start with simple things, like “Will the store be less crowded on Tuesday or Wednesday?” and then listen to see what insight you receive. Then move on to other things, like “Will I have a good time if I go to the party this weekend, or would I enjoy myself more if I stay home?” and notice how you feel with each option or choice. There is no limit to the amount of assistance you can receive from your intuition. When you develop intuition, it can help you make excellent choices and decisions, help guide your life, and even save you and your loved ones from danger. All you need to do is make the concrete decision to begin to pay attention to it, and to take your intuition seriously. The more you honor your intuition, the more it will thrive and grow. Developing intuition is like learning a new skill, the more you practice, the better you are. 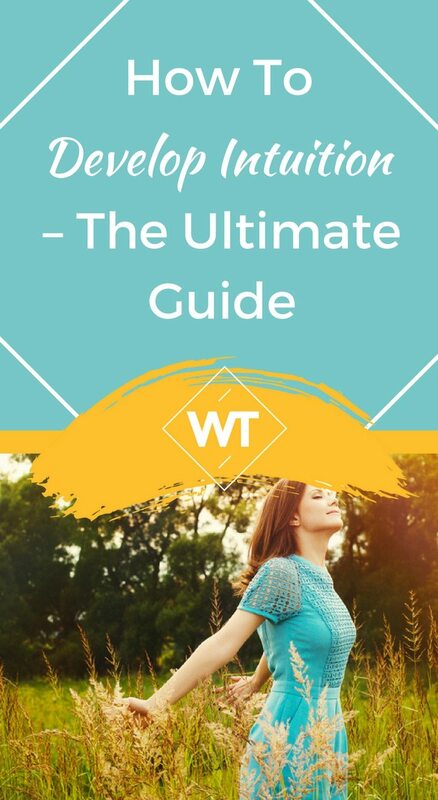 Follow these 3 easy steps to increase the accuracy of your intuitive abilities. Read more ..